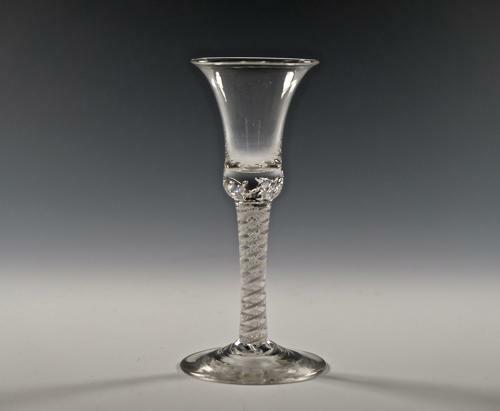 Fine double series opaque twist wine glass. Trumpet bowl the solid base with air tears and wide conical foot. English C1765.